Actor Kamal Haasan Plans to Make 'Vishwaroopam' Sequel? Senior-most artiste Shamugasundari reached the heavenly abode yesterday after some health complications a couple of months ago. The 75-year-old Shamugasundari had acted in about 750 films thus far and had shared the screen space with several stars including MGR, Sivaji Ganesan, Gemini Ganesan, and Rajinikanth. She was mostly seen in mother and mother-in-law roles - the most popular being Vadivelu's mother in V Shekar directed film Kaalam Mari Pochu. She also played Goundamani's mother-in-law in several films. Some of her most memorable films were Idhayakani, Malathy, Lakshmi Kalyanam, Valaikaapu, and Middleclass Madhavan. Apart from being an actress, Shanmugasundari was also a dubbing artist. She was survived by five daughters TK Kala, Mala, Neela, Meena and Selvi. Her eldest daughter TK Kala is an established singer, it may be mentioned here. Ulaga Nayagan Kamal Haasan is busy with his film 'Vishwaroopam'. 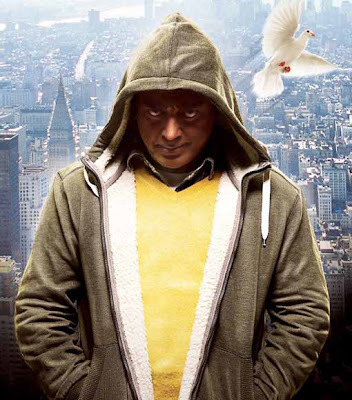 'Vishwaroopam' is the film featuring Kamal Haasan, Pooja Kumar, Rahul Bose, Andrea Jeremiah, Jaideep Ahlawat and many others. Kamal Haasan has penned the story, Screenplay and has directed it. This film is getting huge attentions from biggies from Hollywood, Bollywood, Kollywood, Tollywood and so on. In between, there is information that, Kamal Haasan is in plans to make 'Vishwaroopam' sequel. On enquiring about this, Kamal Haasan said, "Of course, there are plans for making sequels of 'Vishwaroopam'. As soon as, I made plans for sequel, I decided to shoot few action sequences, which demanded complicated procedures of permission for picturising in few special locations and for those scenes that demand artists to make detailed preparations. To say it simply, we have already shot 15 % of the scenes for the yet-to-be-made sequel. I will film the remaining 85% of this film's sequel, immediately after the release of 'Vishwaroopam' ('Vishwaroop'). Shilpa Shetty and Raj Kundra are expecting their first child very soon. The couple wedded on 22 November 2009. With Shilpa due to deliver the baby anytime now, her youngest sister and actress Shamitha Shetty has planned a grand baby shower on May 3rd at 3:30 pm. This function will take place at Raj Kundra's home in Mumbai. Shamitha has said that the baby shower is a very surprise function that even Shilpa did not know about it until everything was planned completely. The mother-to-be is now eagerly waiting for the baby shower, added Shamitha. Actresses and wives of film personalities are expected to grace this occasion and Shamitha has planned it out to be a ladies-only affair. Sanjay Dutt's wife Manayata Dutt, Raveena Tandon, Twinkle Khanna, Gauri Khan, etc., will be attending this baby shower, say sources.